Update August 31, 2016: Peter Moore has spoken up about EA remasters again, shattering any dreams you might have had for Mass Effect remasters any time soon. 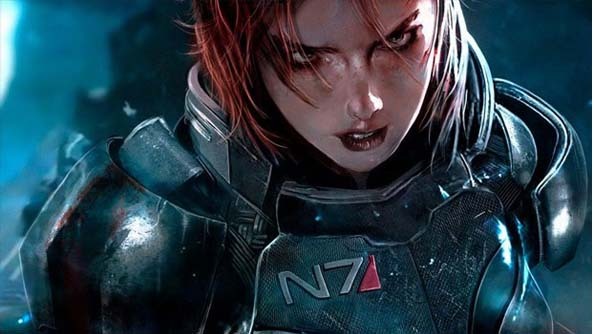 Only two weeks ago, in the story below, EA exec Patrick Soderlund reignited fan hopes for Mass Effect remasters, but it looks like we won’t be getting any in the near future. Is there anything in our list of the best old games that you’d like to see touched up? He goes on to say EA could make an “easy buck” remastering Mass Effect, and he also acknowledged demand, but he says EA are focused on getting Mass Effect Andromeda out the door before even considering looking back. “Anything that distracts” from Andromeda, he says, it not of interest to EA. The interviewer then turns this question around, pointing at the player demand for something like Mass Effect remasters. Original Story August 16, 2016: EA have reversed their position on game remasters, saying it’s now something they are considering. Surely the Mass Effect trilogy would be among the first to get some loving, if EA do go down this route. Last year EA said they weren’t interested in looking back – they just wanted to devote resources to pushing forward. A lot can happen in a year, though, and now EA are one of the only big players who haven’t tapped into their back catalogue for some remaster cash. Speaking to Game Informer at Gamescom, it seems that stance has changed. “What’s changed is that there is proof in the market that people want it, maybe more than there was when we spoke,” explains Patrick Soderlund, executive vice president for EA Studios. “There were some that did it before, but I think there is even more clear evidence that this is something that people really want. While Soderlund never directly references Mass Effect, the question asked was specifically about Mass Effect remasters and, anyway, what else are they going to make? Bad Company 2 would be at the top of my list, outside of Mass Effect. What would you want?